It’s a good day — three new soundtracks! Elite: Dangerous: 86 tracks! This one doesn’t come out until tomorrow, however. 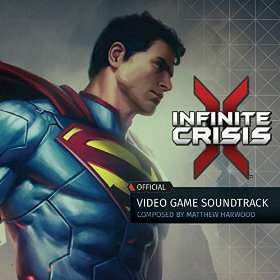 Infinite Crisis: This release was a complete surprise, but 28 tracks, I’m not knocking it. Izanagi Online: Mobile MMO releasing this month, 20 tracks. As always, these will be listed along with any other links to MMO music (free and paid) on the Bio Break MMO Music page. You know how it is with growing older — sometimes you want to go back and revisit your youth, to see if you can recapture some of what made the places you used to frequent so special. Of course, that’s a great way to be disillusioned as well, but it doesn’t stop us from doing it. 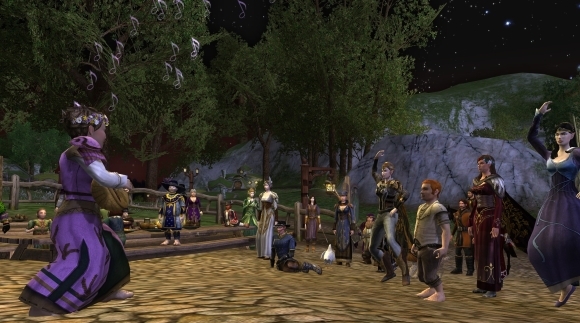 This week is the 7th anniversary of my LOTRO kinship, the Lonely Mountain Band. To cap off festivities, there was a concert and a special guest speaker at Ales & Tales last night. That was enough encouragement for me to return to the place of my character’s youth, the Shire. Man, I have not been back to the Shire in what feels like ages. After months in Rohan and Gondor, it feels like a completely different world to return to a place where pie-tasting, mail-running, and player concerts are the norm. It’s great to see that it’s still a place where players congregate in large numbers. I took advantage of the moment to whip up a new outfit, as I had become a little bored with my current wardrobe. I worked with a piece — eastenmet armor — that had frustrated me in the past, but I think I got a combination that came out looking good. I like the high collar and how it all goes with the campaign backpack. I think I might even be looking at the outfit I’ll be wearing through the end of the game. 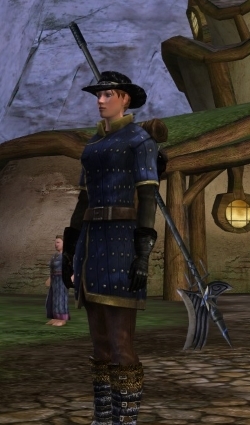 Speaking of finishers, I am happy to report that I finally wrapped up Update 15, including the epic storyline, and can add LOTRO to the list of games where I have a capped character waiting for the next big update (which, for this game, will be sometime this month). I’m looking forward to seeing what will happen in the coming year, but my heart and love for this game will always be way back in the beginning, back in the Shire. I doubt we’ll ever experience a place like that again in this game. Did you know that the Battle Bards have a time machine? Well they do, and this week they’re setting it all the way back to the 1990s! With the help of guest host Scott (Ramblings of a MMO Gamer Guy), the crew examines music from an oft-overlooked era of MMO gaming (and soundtracks). Just because it’s older doesn’t mean it’s ancient! Listen to episode 48 now! I like how peaceful and playful this track is. It’s simple, sure, but was an instant earworm for me. Has a bit of an old-school Final Fantasy vibe, too. I’d like to say that I spent my gaming time this past weekend on all manner of MMO adventures, but save for a couple brief stints in LOTRO (more on that later), I was completely and utterly enthralled with Pillars of Eternity. It’s got its hooks in me bad in a way that, say, Dragon Age: Inquisition failed to do. I was a bit sick, so I sat on the couch under blankets with my laptop, going through this game with increasing fascination. It really is, in so many ways, a spiritual successor to Baldur’s Gate 2 (and many other Infinity Engine games). Instead of taking the full 3-D pseudo-cinematic route of Witcher and Dragon Age, Pillars opted to return to an isometric format where the backgrounds are mostly detailed 2D with the characters and some objects in 3D. But more than just the looks, Pillars is such a callback to the grand old days of CRPGs that its triggering waves of nostalgia and admiration in me. What I like best, I think, is that it took the old format and updated it to make it much more user friendly and interesting. Character creation and growth, for example, is not a hodge-podge of complex statistics or overly simplistic choices (hello Mass Effect), but a clearly explained system that has many, many choices to allow you to develop the characters you want. For example, I rerolled my main character after an hour into the game because I had a better idea for her. So now she’s a Moon Godlike (for the endurance boosting) that I’m making to be an expert fencer. She dances on the front line, striking quicky, all while doing chants and summons (and if you’re a Chanter, let me say that Phantasm *rocks*. I had one fight where my whole party was knocked out and the Phantasm helped to kill the last guy and save me from a complete wipe). Combat is more interesting now, too, with the dual pools of health and endurance. Instead of just having one mass of hit points, you have endurance (which I think of as “fight hit points”) and health (which are “campaign hit points”). It’s easier to heal endurance than hit points, but both are important to keep up. I like how it allows for your party to be knocked down during a fight but not killed outright, making for less stressful encounters. 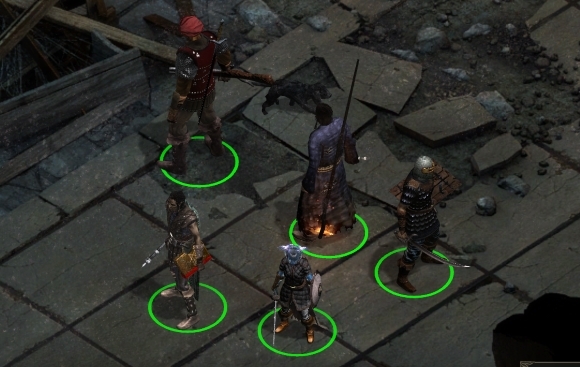 But probably my favorite aspect of Pillars of Eternity so far — about 8 hours in — is the story and worldbuilding going on. It’s just an interesting fantasy world with plenty of cool little stories (many of which told in descriptive text boxes) and nailbiting choices. I like how there are dialogue options that open up depending on all sorts of background choices — what your stats are in various areas, what your race is, where you’re from, etc. And some parts are simply rendered in “choose your own adventure” prose with sketches displaying the scene in question. I also really like — and recommend — the option to turn on the voiced developer commentary. It’s slightly spoilery, but I appreciated the insights into making every zone and knowing some of these background details. 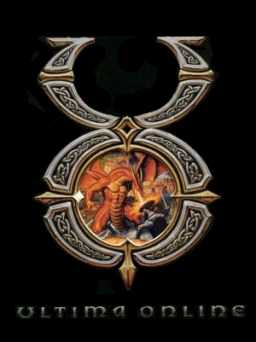 Right now I’ve managed to clear out and claim my stronghold, which definitely reminds me of Baldur’s Gate 2’s keeps. Oh, another detail I am warming up to: fights don’t give you XP. They do give you lots of loot, but not tying XP to combat frees players up to fight, stealth by, or talk past some groups. That’s cool. Anyway, I’m highly recommending this game, especially if you have fond memories of Baldur’s Gate, Icewind Dale, or Planescape: Torment. Here’s hoping the fun keeps going!